Like okra, but not a fan of slime? Here are my three tips to keep slime to a minimum: 1) Stir fry over as high a temperature as possible. 2) Use tender baby okra (if you can find them). 3) Keep the okra whole instead of slicing them. This recipe uses all three tips :) It goes well with pretty much any Indian meal. But I like it best with rice flavored with fried onions and cumin and a big bowl of dhal (lentils). I’ll post my quick InstantPot recipes of both next week. Reduce heat to medium high. Stir every two or three minutes. Cook till water from frozen okra is evaporated. (The more oil you use, the quicker the process). Add rest of the ingredients and cook uncovered, stirring every few minutes, till okra turns dark green and is slime-free. * You may use mature, sliced okra that’s frozen–it just takes a bit longer to de-slime. If using fresh okra, begin with medium high heat and reduce to medium heat heat, and add rest of the ingredients when the fresh okra is half-cooked. It’s been a blah couple of days. Fighting a cold. No appetite. Nauseous. I wanted something bland. 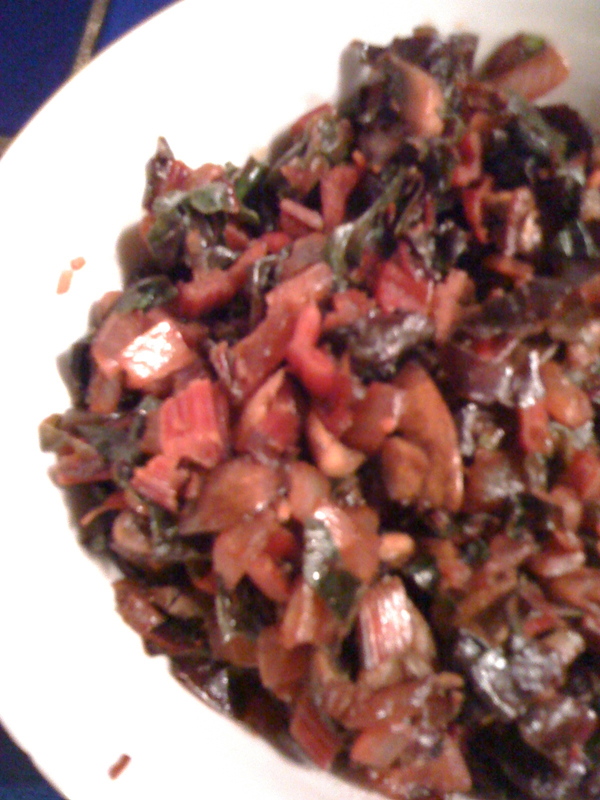 So I threw in some kale, portabella mushrooms, onions and a bit of garlic into a wok. The light blend of veggies on some steamed riced was just what I needed today. I’m feeling much better now that my tummy’s happy. Heat the oil in a wok. Throw in all the veggies. Stir fry over medium high heat for about three minutes. Heat oil. Add rest of the ingredients together. 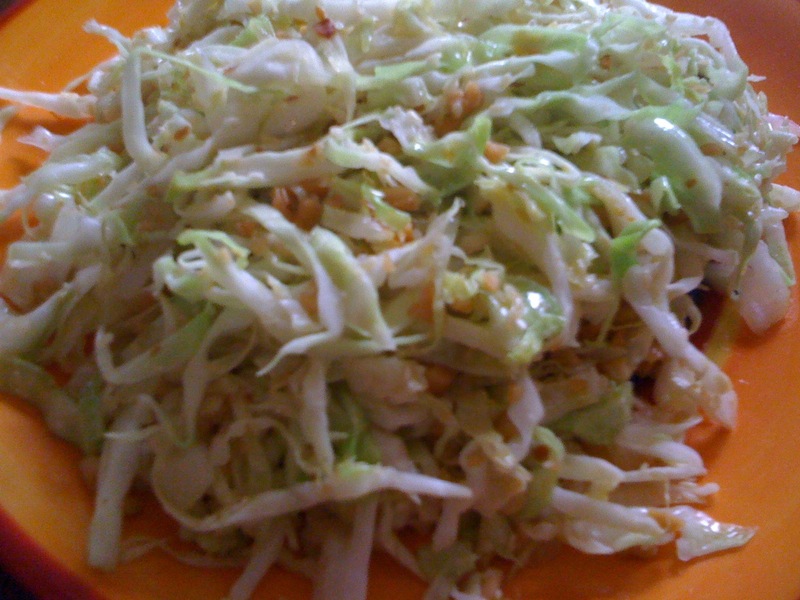 Stir and toss over medium heat till cabbage is cooked yet crisp.